Eco-friendly home improvements are here to stay and have proven to be beneficial to homeowners, but don’t settle for anything less than a GAF Certified Green Roofer™ to do the work. As one such roofer, Tedrick’s Roofing shares the benefits of working with us for your green roofing project. 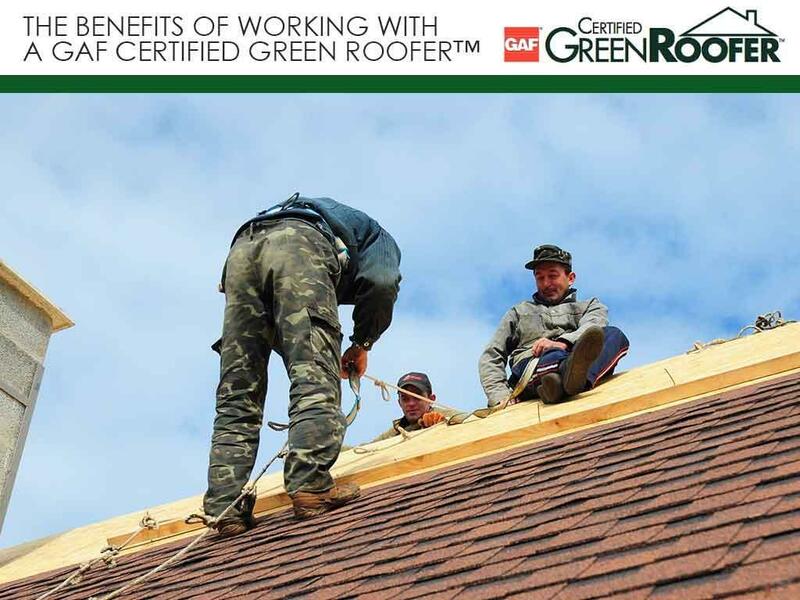 As a GAF Certified Green Roofer, we have backing from one of the foremost roofing manufacturers in the world. We participate in training approved by the U.S. Green Building Council (USGBC), which keeps our knowledge of green roofing and sustainable building practices up to date. This knowledge and training helps us ensure that your green roof will be at peak efficiency and compliant with building codes and requirements, all without sacrificing beauty or durability. Another advantage of hiring a roofing company with a GAF Certified Green Roofer certification is that we have access to the latest products, technologies and processes that contribute to green roofs. For instance, we help facilitate roof recycling, thanks to GAF’s partnership with the Construction Materials Recycling Association (CMRA). Their ShingleRecycling.org program allows proper disposal of roof materials. Our designation as a GAF Master Elite® contractor also lets us offer GAF’s wide selection of roofing materials, including cool roofing options like the Timberline® Cool Series® roofing shingles. While most cool roofs need to be white or light-colored to be able to reflect heat from the sun, Timberline Cool Series shingles let you achieve the benefits of cool roofing with more flexibility in your roofing color choices. The key to enjoying your green roof’s long-term benefits is in making sure that it stays in its best shape during its life span. We can help you come up with a roofing maintenance plan to maximize performance and minimize the chances of costly roof repairs. To learn more about green roofing options and services, call Tedrick’s Roofing today at (253) 499-9660. You can also fill out our contact form to schedule a free, no-obligation roof inspection and estimate. We serve many areas in and around Tacoma, WA.